James Hetfield is a world-renowned musician of the metal music genre. He has sold millions of records, has won Grammy awards and has had a career in music that has spanned the space of more than four decades, he is one of the greats in the music industry and has gone through many phases of his life as a musician, but in most of his time as a musician one thing has remained a constant for him and that is his wife, Francesca Hetfield. To learn more about the woman who has managed to achieve a feat of a long-lasting relationship to a star, keep reading. In relationships where one half of the couple is a popular person, the other half of the duo manages to fade into the shadows and rarely makes an appearance, the relationship that exists between Francesca and James is an example of this. Francesca Tomasi was born in Argentina in the city of Rosario. Not much is known of this Argentine’s childhood, but it is clear that sometime in her childhood she moved to America – a fact that can be deduced from the secondary school she went to. Francesca attended Overland High school, which is located in Colorado. Her life up until the point she met James Hetfield remains a mystery and is rarely spoken about by her, as most interviews will tend to situate her life and existence within the relationship she has with her husband. It is also not known if after high school she attended the University, this is just one of the many things that are not known about her. It is however known that she worked as a costume designer with stars, creating their wardrobes and designing their clothes. Francesca worked in this capacity with the band Metallica and this is how she came to meet her husband James Hetfield, who is the lead singer and frontman of the band, Metallica. Metallica is one of the most popular heavy metal bands in the world of metal music, this band was formed in 1981 by Lars Ulrich and James Hetfield, the other current members of the band are Kirk Hammett who is on the guitar and Robert Trujillo who plays the bass. The band has had four other members, all of who left the band except for Cliff Burton who died. As a band, they have garnered fame for themselves, as well as awards, as they are at least nine times Grammy award winners. In 1992, the band went on the Wherever We May Roam tour to promote their album, Black Album. 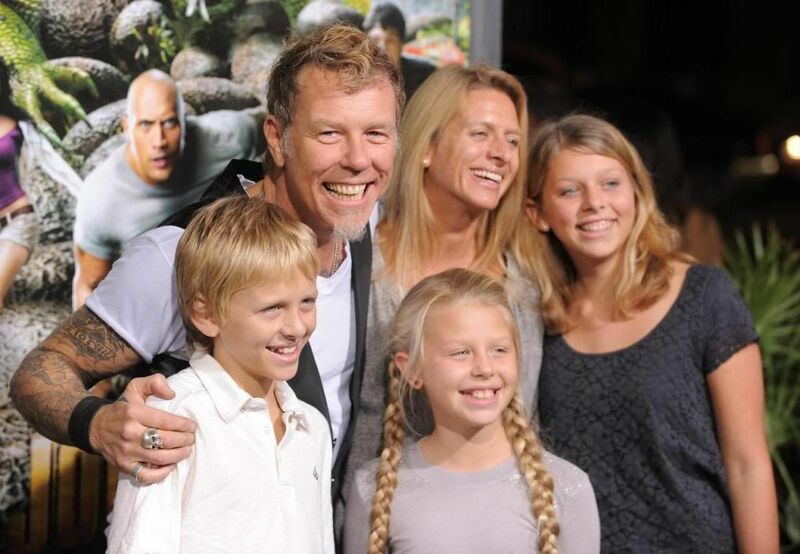 Francesca worked on the tour as one of the people in their wardrobe department, and this was when she met James Hetfield. They have described their love as being one that occurred at first sight. After the tour ended, the couple started to date, and five years later in 1997, they got married. The couple has three children together, the first child, Cali Tee was born in 1998, Castor Virgil who is the second child was born in 2000 while their last child, Marcella Francesca was born in 2002. They all live in Vail, Colorado which is where Francesca spent her childhood. 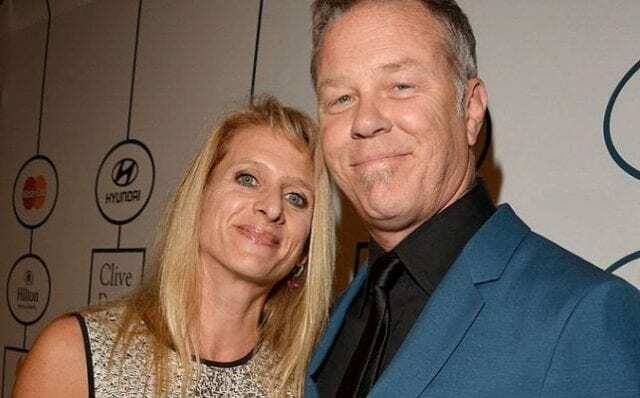 James Hetfield has stated in a number of interviews how his wife, Francesca has saved his life by making him a better man and helping him become a more mature adult. She also taught him how to rein in his anger and deal with situations that anger him in a more constructive way, urging him away from the destructive nature of his anger. See Also: Elin Nordegren, Tiger Woods Ex-wife – Net Worth, Kids, Age, Is she Dating? The world has been described as a global village and it is difficult to find people who are not on any social media platform, Francesca Hetfield is in this minority who do not use social media. Francesca Hetfield is the major driving force in her husband’s growth and attainment of wholesomeness as an adult. As a result of her obscurity and decision to shy away from media attention, it is not known exactly how much she earns or what her personal net worth is, however, it is clear that she does not want for a thing as her husband is pretty wealthy with his estimated net worth of $300 million.